All of the quilts in this photo gallery are designed with a floral theme or use hearts in their layouts—sometimes both. Kay Thurlow said this quilt was inspired by a circular rose garden at her farm in Temora NSW. She used a giant kaleidoscope block as the central feature and added borders. It is a queen size quilt for her mother's bed. The quiltmaker said they learned how to blanket stitch a kitty square. They decided they would like to make one using hearts as their theme. The colors are white and various pink shades. The quilt measures about 35"x35". Young at Heart said they embroidered these blocks over a 2-year period. They were their vacation and "stay awake in front of the TV" handiwork. Some of the designs were from books that they bought, whilst they designed others from photographs after a trip through Central Australia. The early blocks were mostly candlewicked, but they became more adventurous as the quilt progressed. They were especially pleased with the results of the Grevillea and Waratah. The quilt is queen size, machine quilted on their Janome, all cotton with bamboo wadding. 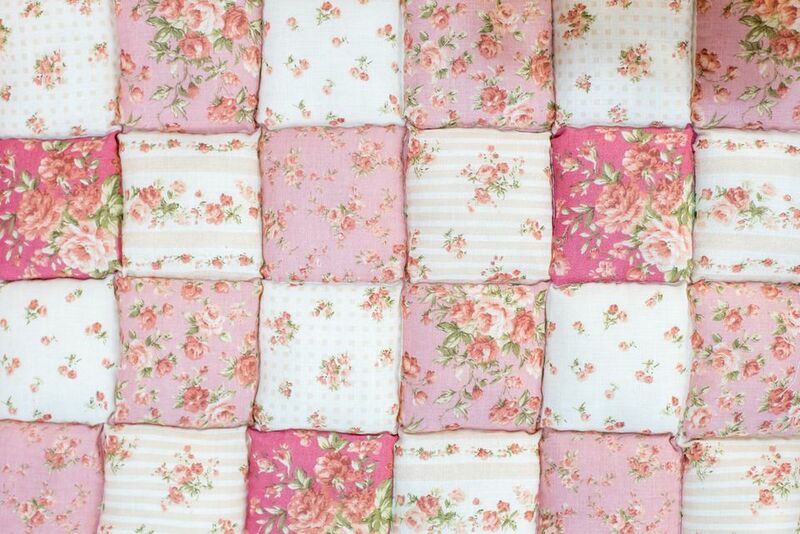 Barbra said she made this king-sized Garden Twist quilt for a wedding gift for her niece. Patti was always inspired by her garden, so flowers were a must. The quilt measures 42 x 52. Janice used the Hint of Spring pattern from QuiltMaker magazine, using her own fabric selection. Her mom and she made this together for her sister's birthday. It is 80x90, and she learned to do free-motion feather quilting on the borders. Nann said that this quilt was a collaborative effort, made for a group member whose mother passed away. To make this quilt Patti was once again inspired by her garden. The quilt measures 42 x 52 inches. Grace admits this was a graduation present for the daughter of a best friend. 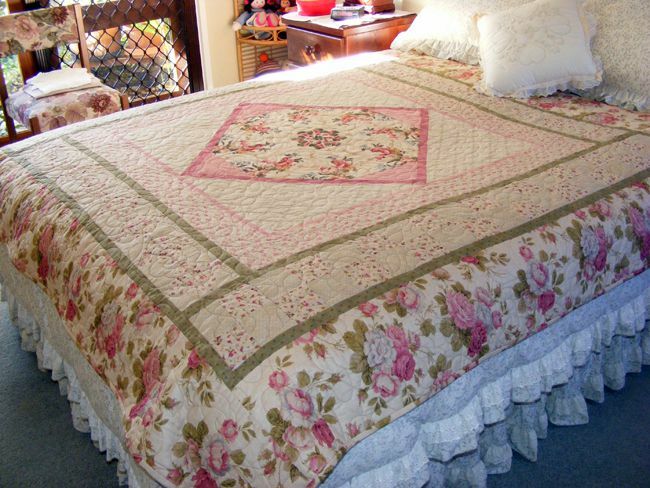 It's a queen size using the pattern Carolina Lily and quilted by machine quilter Jeri, a member of the Quilting forum. The lily block is made from batik fabrics. Riverduk said that this was their first quilt and it was made to celebrate their 30th wedding anniversary hence the 30 hearts. Their wife loves quilting and they thought that this would be a unique way to show her just how much they were still in love with her. They followed a simple heart block pattern and the size is approximately 40x48 inches.